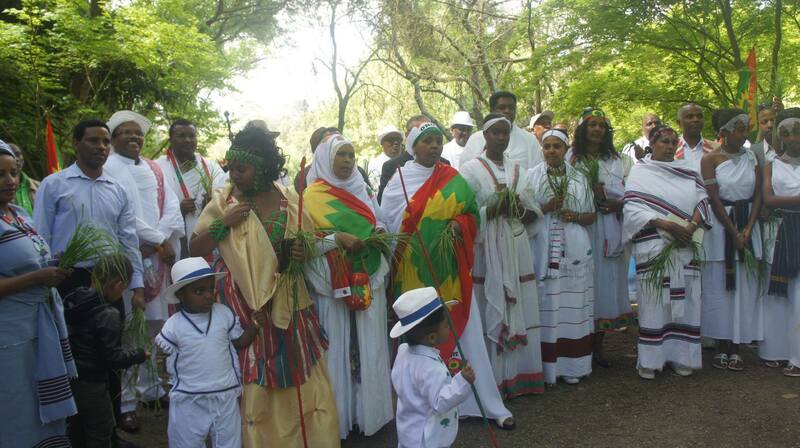 Irreecha Birraa is an annual Oromo Thanksgiving Day that repeats once to mark the end of the rainy season. It is a unique Oromo cultural, historical and social celebration. On this day, people come to gather to give thanks to the Waaqaa (God) for all the blessings throughout the past rainy season and ask for Araaraa (Reconciliation), Nagaa (Peace), Walooma (Harmony) and Finnaa (Holistic Development) for the present and the future. There is also a ceremony of thanking all forebears for their endurance and determination to survive their culture and history – paving the way for further social victory. Irreecha Birraa has been observed by the Oromo people for more than 6400 years. We warmly invite you to join us at the 2015 Irreecha Birraa festival at Wilson Botanical Park. It is an Oromo Thanksgiving Day tradition of respect for nature and gratefulness for life. The ceremony honors elders’ blessings and wisdom and preserves the Oromo heritage in Australian multicultural society.